Nice race! That elevation profile is no joke, congrats on staying strong and finishing with a major course PR! Awesome race! 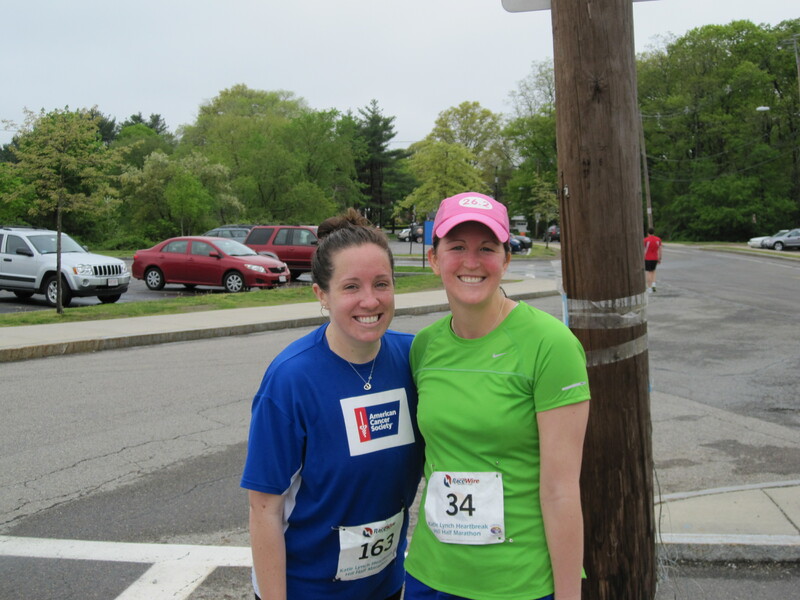 I bet it feels amazing knowing you powered through those hills and kept going strong! Way to go! Congrats on the PR! Ah! What an amazing race! Brought tears to my eyes. What a great pace, you must be getting wicked fast on flats if that is what you are doing on hills! 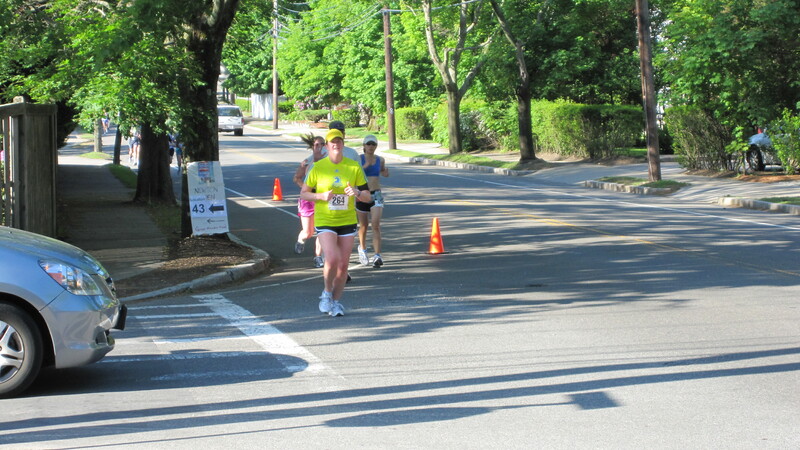 Are you still planning on doing the hyannis half? congrats kim!! you dominated those hills! 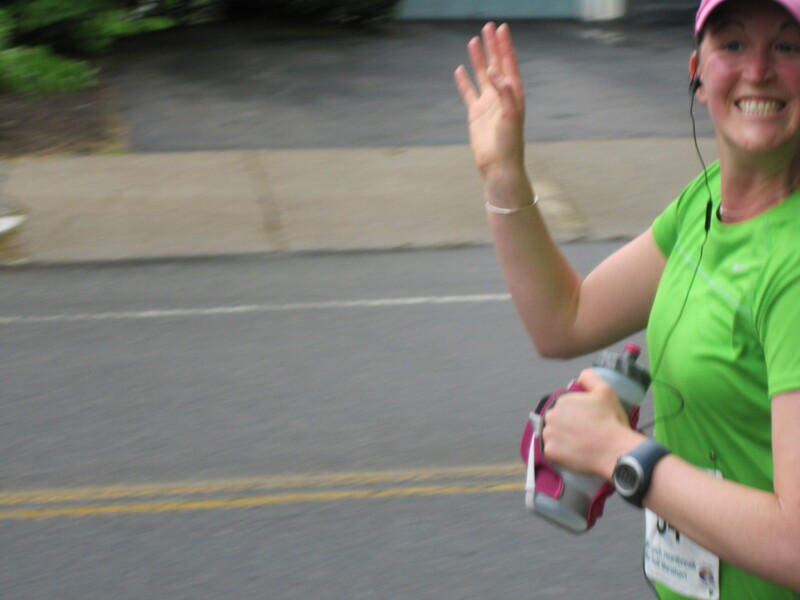 serious double thumbs up for even pacing and a huge course PR. You WILL rock San Fran! Way to go Kim! Yeah, that Hill after Heartbreak was a rude surprise. Definitely was not expecting that…felt tougher than Heartbreak itself. So glad we were able to exchange hello’s on the hill…you definitely gave me a lift coming down the hill. The extra energy helped me catch the one guy I had my eye for much of the race. 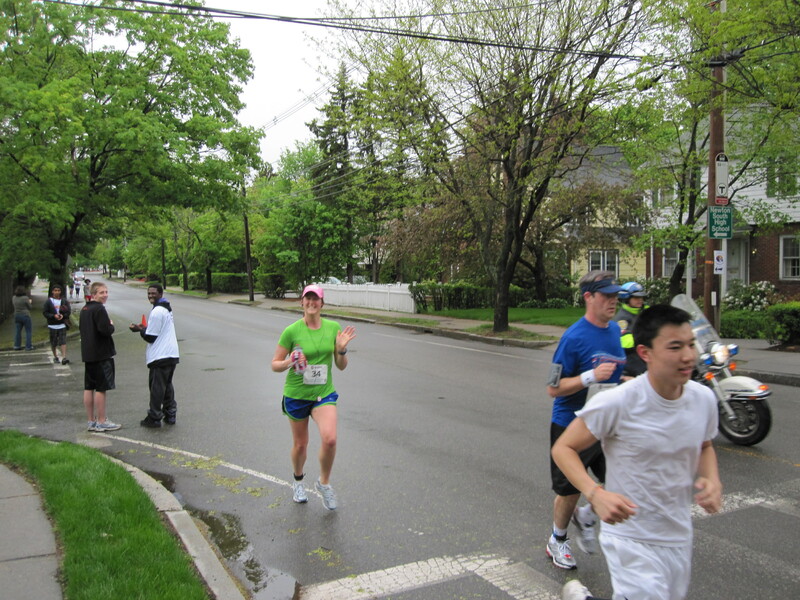 Sure you don’t wanna come run Boston Run to Remember with me on May 29? Found your blog from FB. Great job! You’re not kidding, that hill after Heartbreak was a killer. 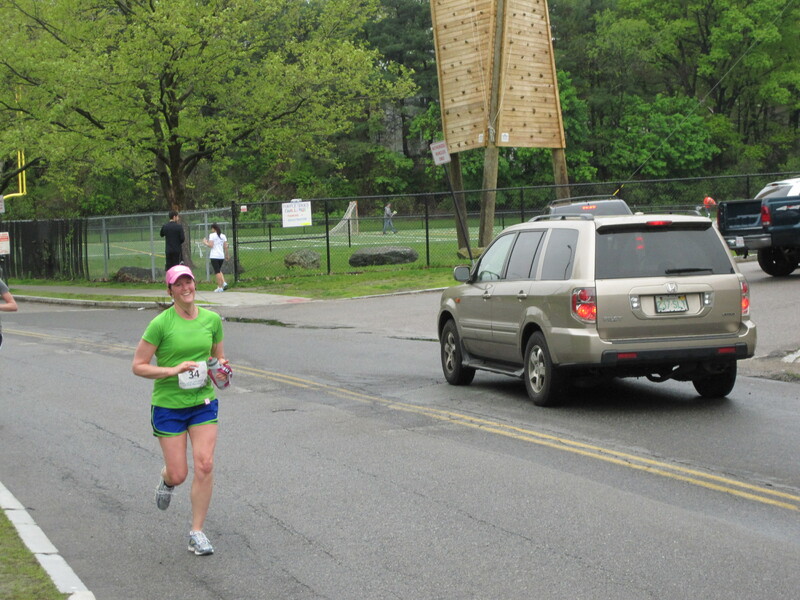 I finished right after you, 1:56:34! Hey, are you a Colonial?? Great job Swimmy!! That is an awesome time for such a difficult course. I am super proud of you. 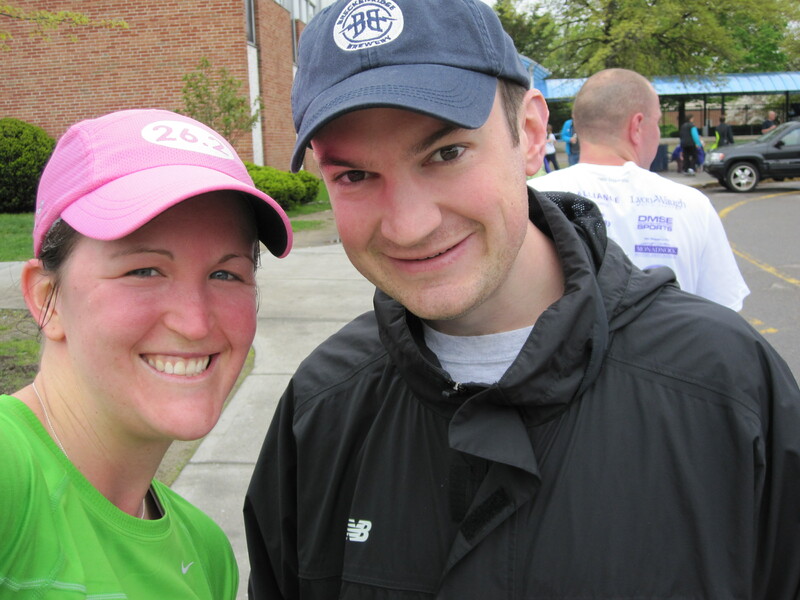 I loved reading your recap and more than that I loved that you now have a) a Garmin b) a handheld Nathan water bottle! Aren’t they the best!!! Congrats on the great finish! Huge congrats! You rocked a tough race and are so ready for San Fran. Your time on the hills has definitely paid off. Yay kim! Awesome, awesome recap! I’m pumped you had such a great race. Way to own those hills!!! Wow way to go! Glad to hear it went so well! So nice that Foxy was there to cheer you on. Sometimes one small moment where you see someone you know is all you need to get a major boost. I wish I had known this was going on, I would have come out to see you!! Huge improvement from last year and 8:33 final mile? Such a great job! Glad you had a lot of fun running it too! AHHH! I am the worst friend ever! I’m sorry I didn’t tell you this sooner, but congrats on the great half. Those hills will be easy shmeezy come time for the SFM! Great job Kimmy! That’s a tough half marathon! Impressive how much you’ve improved since the last time you did it! That is fantastic! I am currently training for my first half and you are an inspiration! Great job!